R.A.U.’s primary goal is to strengthen local churches and pastors so that they can plant churches in the many unreached villages of the region as well as the unreached tribal groups of the area. R.A.U. will seek do this, Lord willing, by bringing pastors, church leaders and planters for Biblical training retreats and conferences for Biblical encouragement to the R.A.U. Guesthouse/Hall of Tyrannus. Most pastors can only get away for short periods time. We believe this to be the most effective way for us to strengthen local churches and help be a part of planting churches in the many unreached villages and tribal groups (See 2 Timothy 2:2; Acts 19:9-10). As of December 2018 RAU has hosted 31 such training retreats . We also have new working relationship hosting teaching teams with Reaching and Teaching International , High Pointe Baptist Church Austin Texas ,and Forest Hill Presbyterian (PCA) Church Forest Hill, Maryland. and Rocky Point Baptist Church Stephenville Texas. Current we have two tracks of church leaders/or future leaders (local leaders and North Sudanese) going through a nine module program. RAU is actively working with local churches to plant churches in villages without a church. Since 2013 eight villages which had not a single church now have active and growing congregations. many more villages need churches planted in them! Evangelism among the Aringa Muslims in nearby Yumbe District are ongoing. Dialogs with Aringa Imams and Sheikhs are also ongoing. The Aringa are listed as an unreached people group with “Joshua Project“. Funds given for Arabic, Swahili Bibles, Aringa New Testaments and Christian-Muslim apologetic material are much appreciated and needed. The R.A.U. compound will also serve as a base of operations to have Biblical training conferences, evangelism, medical outreaches as well as agricultural training throughout Northwestern Uganda (The West Nile Region), South Sudan, Northeast Democratic Republic of Congo, and (North) Sudan. R.A.U. will also by God’s grace seek to minister to the physical needs of the region. Currently we are seeking funds for water wells in the remote nearby Metu Mountains where we are doing church planting. It cost $8000 for each well. The cost is a bit higher because of the rough terrain in the metu Mountains. R.A.U. is working along with Missionary Agricultural Resource Services (M.A.R.S.) to equip pastors and their congregations through agricultural development strategies. During leadership retreats, one of the 4 days of training includes one day of agricultural training, both in classroom and out in the field. R.A.U. has implemented, in partnership with M.A.R.S. and Moyo TBS radio station, a weekly, 2-hour call-in Agricultural Radio program which is done by Apiku Emmanuel, R.A.U.’s Agricultural Extension Officer, and reaches a broader community in the West Nile region. R.A.U.’s 20-acre compound serves as a demo plot for numerous agricultural projects and gives us opportunity to host many individual and groups from the community seeking to improve their agricultural skills. Currently we are locating children in the area who have disabilities which can be corrected surgically. We are working with several hospitals to help these children with special needs. Please pray with us for God’s provision in these endeavors! Carol and I first ministered in Uganda in 2006 and 2013 made RAU our permanent home so that we can work alongside believers of this region to help train church leaders and facilitate other ministry opportunities… “the harvest is great and the labors are few”. Our plan is to live here as long as the Lord ordains. We welcome short term teams which would seek to come and share their God given gifts with people of the West Nile of Uganda, South Sudan, and Republic of Sudan. 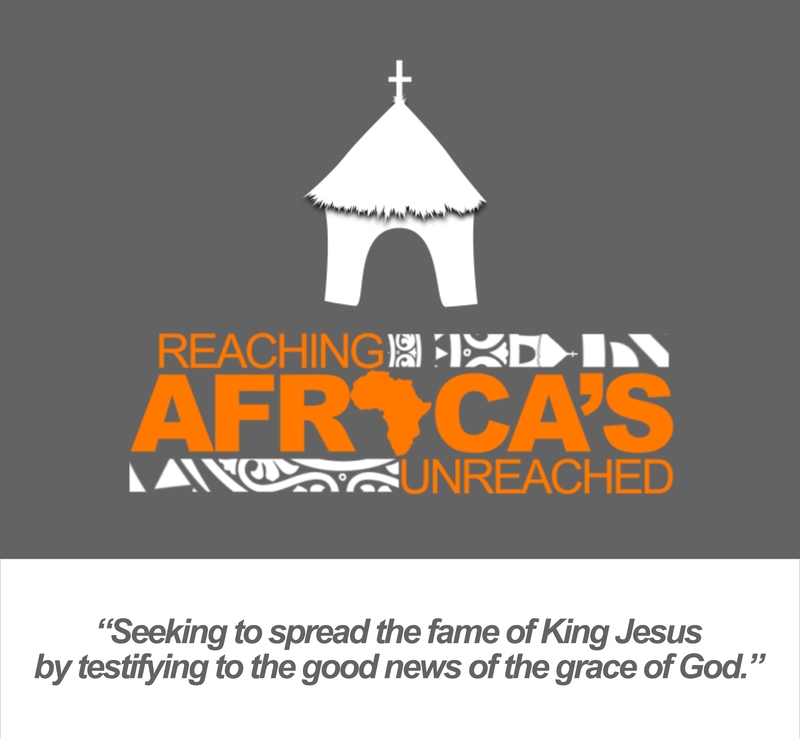 An video overview of Reaching Africa’s Unreached Ministry may be found here. R.A.U. is grateful for all financial gifts! R.A.U. commits to faithfully use these gifts to extend Christ’s work primarily in Northwestern Uganda (also called the “West Nile“), and as able in Southwestern South Sudan, Northeastern Democratic Republic of Congo, and regions Northward. It is our desire that any charitable gifts given to R.A.U. would not compromise what you are ALREADY giving to your local church or to foreign missions . To get the gospel to the unreached will take sacrificial giving on the part of all God’s people. May we all walk faithfully in the spirit of 2 Corinthians 8 & 9 so that our Lord God is worshiped by men and women from every tongue , tribe, people, and nation! Truly now is the time is ripe for radical generosity! Tax deductible charitable donations may be made via PayPal. PayPal also has a way to make reoccurring monthly gifts. To do so please click the “Donate” link below. PayPal deducts a small amount from each gift as a processing fee. All gifts given are tax deductible as Reaching Africa’s Unreached has 501 c3 tax exempt status as a charitable organization. If you wish to write a check you may write it out to R.A.U. and mail it to Lifegate Missions/RAU, 395 Lifegate Ln., Seguin Texas 78155. “Often books and speakers tell Christians that they should help the needy because they have so much. That is, of course, quite true. Common sense tells us that, if human beings are to live together on the planet, there should be a constant sharing of resources. So when the statistics are brought out to show Americans how much of the world’s resources we use, it creates (rightly) a sense of concern for those with less than ourselves. But this approach is very limited in its motivating power. Ultimately it produces guilt. It says, “How selfish you are to eat steak and drive two cars when the rest of the world is starving!” This creates great emotional conflicts in the hearts of Christians who hear such arguing. We feel guilty, but all sorts of defense mechanisms are engaged. “Can I help it if I was born in this country? How will it really help anyone if I stop driving two cars? Don’t I have a right to enjoy the fruits of my labor?” Soon, with an anxious weariness, we turn away from books or speakers who simply make us feel guilty about the needy. “Believers should seek more and more to enter into the grace and love of God, in giving His only-begotten Son, and into the grace and love of the Lord Jesus, in giving Himself in our room, in order that, constrained by love and gratitude, they may be increasingly led, to surrender their bodily and mental strength, their time, gifts, talents, property, position in life, rank, and all they have and are to the Lord. “It is the Lord’s order, that, in whatever way He is pleased to make us His stewards, whether as to temporal or spiritual things, if we are indeed acting as stewards and not as owners, He will make us stewards over more. “Only fix even the smallest amount you purpose to give of your income, and give this regularly; and as God is pleased to increase your light and grace, and is pleased to prosper you more, so give more. If you neglect an habitual giving, a regular giving, a giving from principle and upon scriptural ground, and leave it only to feeling and impulse, or particular arousing circumstances, you will certainly be a loser. I decided to balance my accounts as nearly as I could every month, reserving such portion of profits as might appear adequate to cover probable losses, and to lay aside, by entry on a benevolent account, one tenth of the remaining profits, great or small, as a fund for benevolent expenditure, supporting myself and family on the remaining nine tenths. I further determined, that, if at any time my net profits, that is profits from which clerk-hire and store expenses had been deducted, should exceed five hundred dollars in a month, I would give 12 1/2 per cent. ; if over seven hundred dollars, 15 per cent. ; if over nine hundred dollars, 17 1/2 per cent. ; if over thirteen hundred dollars, 22 1/2 per cent,– thus increasing the proportion of the whole as God should prosper me, until at fifteen hundred dollars I should give 25 per cent, or 375 dollars a month. As capital was of the utmost importance to my success in business, I decided not to increase the foregoing scale until I had acquired a certain capital, after which I would give one quarter of all net profits, great or small, and, on the acquisition of another certain amount of capital, I decided to give half, and, on acquiring what I determined would be a full sufficiency of capital, then to give the whole of my net profits.